Years ago, a few homeschoolers were so impressed with Andrew Pudewa's Teaching Writing: Structure and Style(TWSS) writing seminar when it was first introduced that they went out of their way to make sure I reviewed it. Their enthusiasm was well founded as evidenced by the legions of TWSS fans today. 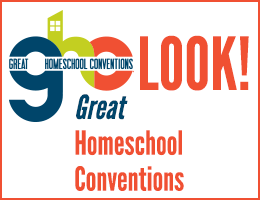 Two things seem to be stumbling blocks for homeschooling parents when it comes to teaching composition skills: the difficulty of finding the right resources and lack of confidence in their own abilities to teach and evaluate. Andrew Pudewa's TWSS has to be one of the best resources for helping parents overcome the confidence barrier and giving parents easy-to-use tools that help them successfully teach a wide range of students. On the other end, students often struggle with writing because they feel overwhelmed by the assigned tasks, they can't think of anything to write, they don't know where to begin, and other such reasons. TWSS addresses such issues with carefully designed lessons that teach students in incremental steps that are manageable and even enjoyable. The first edition of Pudewa's TWSS seminar, which has been available since 2000, has brought success to many families. The revised second edition, published in March 2015, is even better. The new version of TWSS, available via online streaming or DVDs, consists of the Seminar and Practicum Workbook plus the video content and additional downloadable files. Video content is viewed either from 12 DVDs or from the 12 videos streamed online. The videos have 14 hours of teacher training and five and a half hours of student demonstration classes covering four different levels. DVDs include subtitles (in either English or Spanish). TWSS can be used with one or more children at home or in group classes. In TWSS, parents and teachers learn how to teach both creative and expository writing. The course teaches both structure and style in such a clear manner that parents and teachers can quickly begin teaching students a repertoire of writing techniques even before they watch all of the video sessions themselves. Parents or teachers may watch the entire course all at once or spread it out over weeks or months. The videos really are focused on teacher training, and it is unlikely that students will watch with you. Pudewa does not try to cover all types of creative and expository writing but focuses on basic structures and approaches. Regardless, this foundational development should be excellent preparation for students to build upon as they explore other forms of writing. For example, one of the strategies Pudewa uses is to have students begin by making notes from a model composition. Students come up with key words to convey main ideas. Then they work from their notes to reconstruct the piece beginning with a key word outline. They are not attempting to copy the original, but using their own words, they expand upon the key words with their own words. This strategy works very well since it provides a secure starting place so students are not worrying excessively about what to say. Instead, they concentrate on structure and style. The basic strategies of taking notes with key words then constructing outlines are then used throughout the program for various types of writing assignments. The course as presented to students consists of nine units: 1. Note Making and Outlines, 2. Writing from Notes, 3. Retelling Narrative Stories, 4. Summarizing a Reference, 5. Writing from Pictures, 6. Summarizing Multiple References, 7. Inventive Writing, 8. Formal Essay Models, and 9. Formal Critique (book reports or basic literary analysis). An additional section on “Writing about Literature” has been added to the new edition of the Seminar and Practicum Workbook. It is best if you teach the units in order. For students in grades four through eight, you should plan to teach one unit per month. You can move at a faster pace with older students and a slower pace with younger students. In the first edition of TWSS, stylistic techniques were first introduced in the second unit. In the second edition, they have been separated into their own section in the binder. This is likely because students of different ability levels are ready to add the various style techniques at different times. Younger students will probably use fewer of them than older students. The general rule is that a new technique is added after a student demonstrates ease with the previous technique. Consequently, older students might master techniques at a more rapid pace than younger students. Instructions for introducing stylistic techniques for various ability levels are included in the instructions for each unit. When you purchase the 2015 edition of the complete course, you also receive free access to a number of extra resources. The Blackline Masters e-book has 240 reproducible pages, primarily to be used by students. Here is where you will find stories and pictures to be used as writing source material as well as checklists, outline forms, and other resources that you need to teach the course. You are given permission to reproduce these for your family or classroom. The two full-course options both include Premium Subscriptions. The Premium Subscription gives you access for one year to the complete series of video lessons streamed to your computer or tablet, plus downloadable audio talks, access to monthly webinar training (August through May), a recommended reading list, mini-posters, mini-books, and pictures. 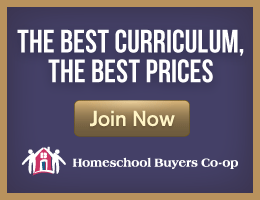 I recommend that you purchase the course with DVDs since I expect that many parents are likely to want to revisit the video lessons and the student demonstrations beyond the first year (and after the Premium Subscription expires). Once you have watched all of the videos, theoretically, the manual should be sufficient to help you teach the lessons, but a refresher from time to time is likely to be very helpful. What I like most about this course is that Pudewa walks you through each strategy in detail. His teaching experience is very evident as he identifies and deals with problems that tend to crop up for both teacher and student. The lessons move along slowly enough for you to think and work through the process with his “live” DVD audience. This means that parents and teachers are more likely to end up with a solid grasp of the course content, especially if they complete the writing assignments themselves as they watch the seminar lessons. As mentioned above, the seminar set includes four Student Workshop presentations. Student Workshops are recordings of classes conducted with different age groups: Primary (grades K-2), A (grades 3-5), B (grades 6-8), and C (grades 9-12). These serve as demonstration classes. You might have students work alongside a “video” class to introduce them to some of the methods of this course. Even more help is available through Student Writing Intensive DVDs (SWI), although these are optional. There are three levels—A, B, and C—that cover the same grades levels as do the Student Workshops for those levels. Each SWI has four-discs of actual classes, running about 7½ hours total. Each SWI also includes a Structure and Style Overview DVD which is a brief introduction to the various units so parents and teachers can get a quick overview of the Structure and Style course outline. However, this is not intended to replace TWSS. SWI video classes focus on selected lessons from the seminar. A binder and a set of reproducible papers (models, checklists, reference sheets, and worksheets plus lesson plans and teacher instructions) come with each set of discs. As with the Student Workshop videos, students may work through these along with the video classes since Andrew Pudewa teaches students directly. Parents assist students as writing coaches and editors. Once you have worked through the basic TWSS seminar and SWI, the Student Writing Intensive Continuation Course picks up where SWI ends. It features nine DVDs of video instruction, a CD-ROM with the teacher's manual, ten class handouts, student samples, and a student packet with 162 pages of three-hole-punched, loose-leaf handouts that contain 32 weeks or more of writing assignments lasting one to two years. IEW also offers other related resources in their catalog or through their website. Among them are lesson books that will help you implement what is taught in the original seminar such as Bible-Based Writing Lessons in Structure and Style; Bible Heroes Writing Lessons in Structure and Style; Rockets, Radar, & Robotics; History-Based Writing Lessons; Following Narnia; and more. These can be used in conjunction with the Structure and Style program or afterward. Bible-Based Writing Lessons in Structure and Style has lessons that you can begin using from the very beginning of the Structure and Style program while most of the other books need to wait until a little later. Many of IEW's materials, including the core courses discussed here (except for Bible-Based Writing Lessons and history-based writing lessons) are written from a secular, but "Christian friendly" viewpoint. 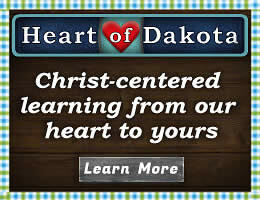 Materials with distinctly Christian content are designated on their website as such. You might want to check out the ready-made lesson plans from Homeschool Planet that are available for IEW's Student Writing Intensive and theme-based writing courses.